The most urgent task of the euro area is to break the vicious circle between sovereign debt and banks. To do so, the bailout funds (the provisional EFSF and from July also the permanent European Stability Mechanism - ESM) must be allowed to recapitalise banks directly, without going through governments. This is one of the recommendations of the IMF as a result of its three-week mission in the euro area. 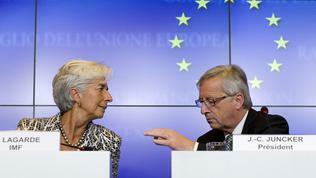 The news was announced by the IMF Managing Director Christine Lagarde after the Eurogroup meeting on Thursday night. The statement of Ms Lagarde came as a surprise, given that debates on this topic have been going on for weeks but European leaders seemed unable to decide because of large differences in their positions. Christine Lagarde said, however, that the fund was concerned by the growing tension and the acute pressure the eurozone was experiencing, which raised "questions about the viability of the monetary union itself." 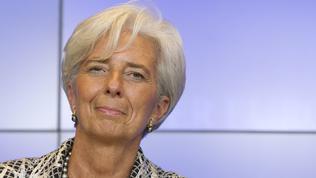 So, it is vital to break the link between debt and banking crisis, she explained. To that end, banks should be given funds for recapitalisation directly by the bailout funds in order to avoid additional burden on states. Because under current conditions, any loan, including for bank recapitalisation, is provided to governments which increases their debt. The IMF recommendation is in line with a request of several countries in the eurozone - Italy, Spain, Ireland, France - and quite contrary to the German position. 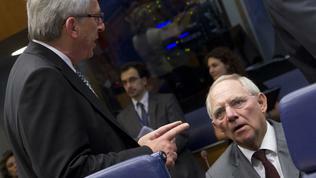 Germany insists rescue loans to be granted only to governments and only under certain conditions they must fulfil. 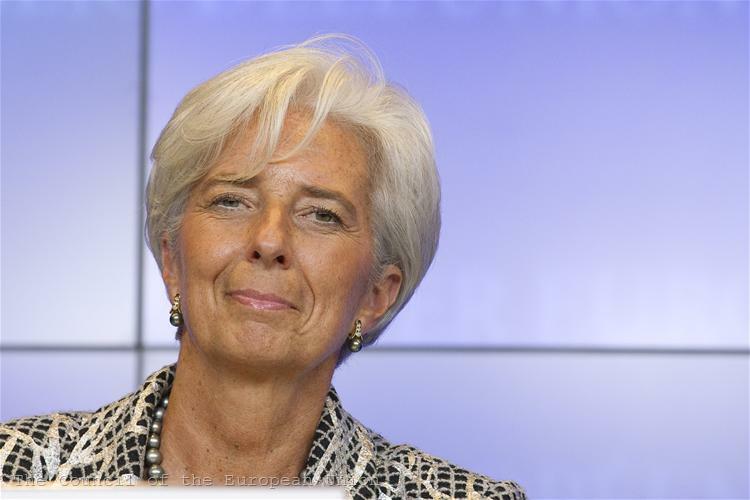 Asked what was the German attitude toward such a recommendation, Ms Lagarde said that the IMF had not spoken to every Member State individually but hoped "that wisdom will prevail." As if to show the need for urgent action in this regard, while European financial ministers were meeting, the Moody`s credit rating agency downgraded 15 large banks around the world: Bank of America, Goldman Sachs, JP Morgan Chase, Morgan Stanley, Citigroup, HSBC Holdings, Barclays, Royal Bank of Scotland, BNP Paribas, Societe Generale, Credit Agricole, Deutsche Bank, Credit Suisse, UBS, Royal Bank of Canada. Direct bank recapitalisation is one of three "key principles" the eurozone should follow to solve the crisis, as recommended by the IMF. The second principle is to build "a banking union and greater fiscal integration, with better governance and more risk sharing." Regarding the banking union, the IMF`s recommendations are in line with goals previously stated by Brussels: an EU framework for harmonised national bank resolution processes, a common bank resolution authority and a common resolution fund; common supervisory and macro-prudential framework; deposit guarantee scheme. As for increased fiscal integration and risk sharing, however, the IMF`s recommendations sound downright heretically against the background of sharp contradictions between the eurozone countries. According to the IMF "sufficiently large resources at the centre, matched by proper democratic controls and oversight" are needed. The road to this endpoint is long but the first step is to launch "a broad-based dialogue about what a fuller fiscal union would imply for the sovereignty of member states and the accountability of the centre." This sentence contains two of the biggest dilemmas of the eurozone – about national sovereignty and democratic legitimacy. You cannot make a step forward if you don`t solve these issues, the IMF says bluntly. And it is putting "the icing on the cake" by recommending "introduction of a limited form of common debt" as an intermediate step towards fiscal integration and risk sharing. Under this definition hide the famous Eurobonds, which have been discussed in the EU for two years but only recently the idea started getting a more concrete shape. Positions on the issue, however, are extremely divided. According to the IMF "such debt securities could, at first, be restricted to shorter maturities and small size and be conditional on more centralised control" - limited to countries that deliver on policy commitments; veto powers over national deficits; pledging of national tax revenues. A similar idea of European securities (eurobills) is proposed in the report of Sylvie Goulard MEP (ALDE, France) and is currently discussed in the Economic Commission of the European Parliament. This recommendation of the IMF enters into a direct conflict with the German position, whereby Eurobonds simply cannot be discussed at this stage before the necessary guarantees for fiscal discipline and greater integration are in place. Berlin believes that debt sharing would ease the pressure on member states to make reforms and reduce debts and deficits. In the IMF`s view, however, the two processes must go hand in hand and moreover, as mentioned, after having solved the issues of sovereignty and democratic legitimacy. Given how difficult it is to "sell" both ideas to voters in individual member states, it seems as if it is more convenient for the European leaders to "wash their hands" with the IMF. As national leaders often justify unpopular decisions by saying "Brussels decided," so now European politicians can say with a clear conscience: "Behold, the IMF recommended." At the Eurogroup press conference it became clear that the European Commission fully supported the conclusions of the Fund. 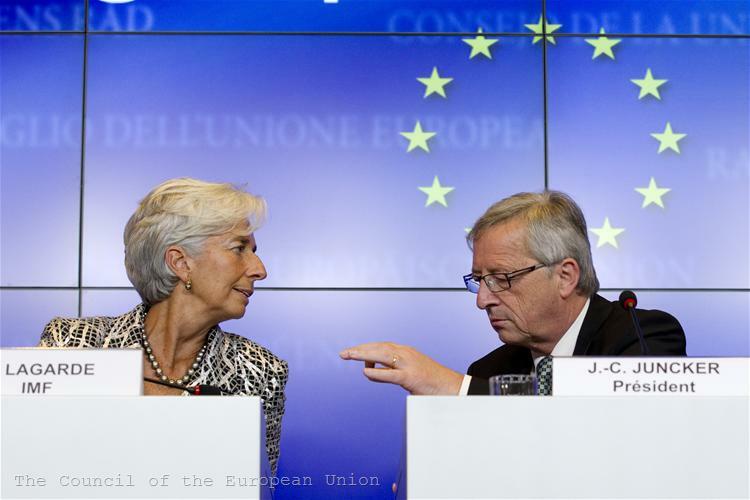 In turn, Eurogroup President Jean-Claude Juncker said that he was broadly in line with the IMF`s findings but did not answer the question whether his colleagues shared the same opinion. The IMF recommendations for direct bank recapitalisation by the bailout funds come at a time when Spain is expected to submit a formal request for a loan in the next few days. The audit of the Spanish banking system has shown that banks need up to 62 billion euros of additional capital. 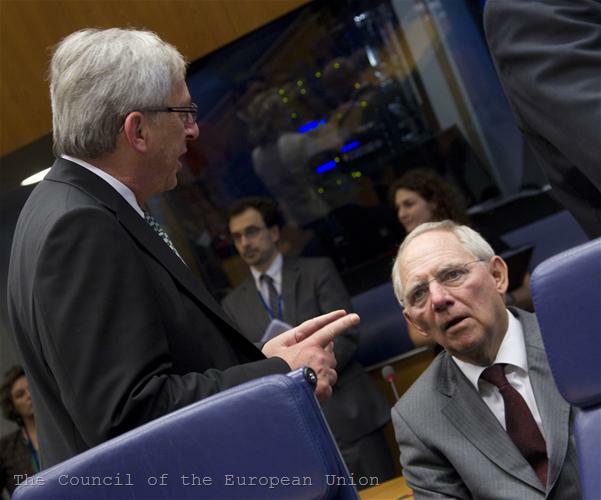 But as the Eurogroup has already announced, the loan would probably be larger (up to 100 billion euros). Initially, the loan will be provided by the temporary fund (EFSF) and then transferred to the permanent ESM (European Stability Mechanism), which is expected to start working in July. This is important for investors because the ESM has a preferred creditor status, meaning it must be paid back before any other creditors. However, this does not apply to the temporary fund and since it will initially provide the loan, this requirement will not apply. 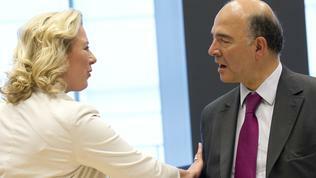 The exact amount of the assistance for Spain will be decided by the finance ministers of the euro area by 9 July. July 9 is the new starting date for the ESM. The permanent rescue fund had to be operational by 1 July but this will not happen because of a delay in the ratification process. One of the countries that has still not approved the ESM is Germany. The vote in the Bundestag is scheduled for 29 June, as in addition to the ESM the German lawmakers must approve the fiscal compact as well. The government has secured the opposition`s support in exchange for measures for growth and jobs. Chancellor Merkel has strongly opposed the request of the Left to create Eurobonds, but both parties agreed to introduce a Financial Transaction Tax - if not across the EU, at least in the form of enhanced cooperation. A further delay of the ratification of the ESM in Germany is caused by the Constitutional Court, which asked for more time to decide. As regards Greece, the official response of the EU and the IMF to the Greek request for a two-year deferment for the implementation of its fiscal targets reads: nothing can be decided before the Troika mission returns to Athens. This is going to happen on Monday and only after seeing the current state of implementation of the programme, any changes could be commented. 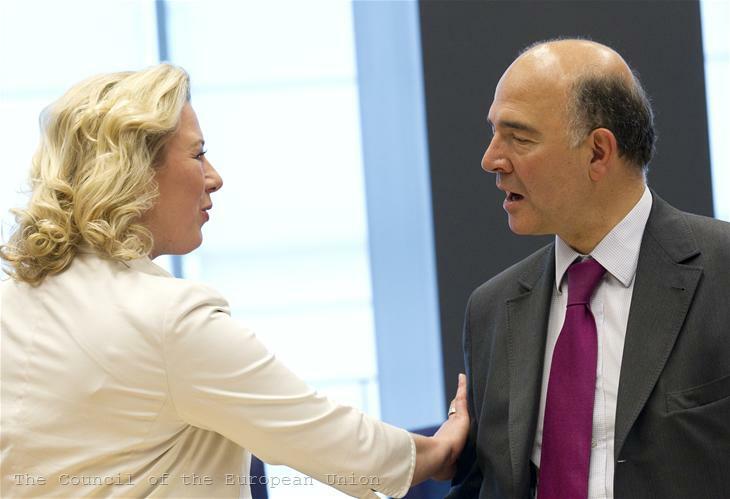 Judging by the statements of some ministers before the meeting, however, it will not be easy to fulfil the Greek request. Finland's Finance Minister Jutta Urpilainen said that Finland was not ready to support such an idea and her Dutch counterpart, Jan Kees de Jager, commented that "an alternative to hard, painful reform, that alternative is not there."